Here at Imperial Car Supermarkets we offer only the highest quality used cars for sale. From Audi to BMW, Jaguar to Mercedes-Benz, Volvo and Volkswagen; the cars in our showrooms are all RAC checked and of the highest spec and condition. When buying a used car from Imperial Car Supermarkets, why not ask about enhancing and protecting your car with our amazing paint protection system? This ceramic coat treatment is designed to shield your car’s paintwork, bumpers and alloys from all that the British roads and weather can throw at it! Once applied it leaves a highly durable and glossy showroom finish, which prevents pollutants from damaging your car’s paintwork. Guaranteed for the lifetime of your vehicle ownership, there is no need for polishing, nor for the use of additional enhancers, simply wash your car and leave the Ceramic Protection system to do the rest! It’s quick, easy, saves you time and protects your car from depreciation. This state of the art ceramic coat protection system even guards the vehicle’s internal surfaces and fabrics from wear & tear, every day stains and spillages. The covering resists liquids and dirt particles, allowing them to be simply wiped clean and is available for both fabric and leather interiors. Find out more about the amazing Ceramic Coat Treatment system on our website here. 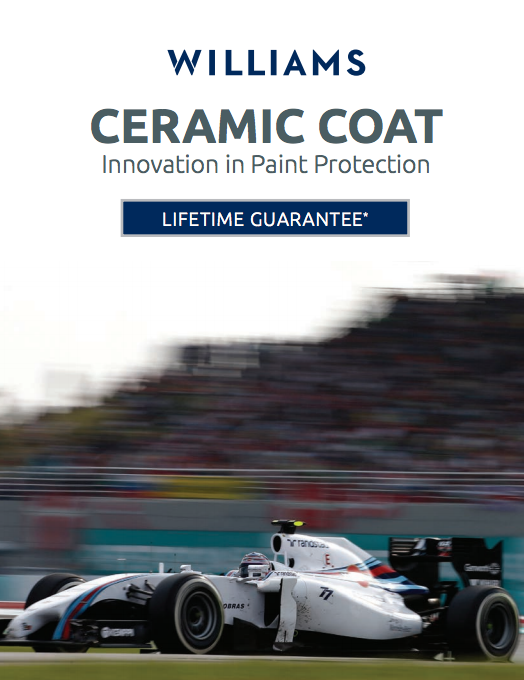 Or by downloading the Williams Ceramic Coat Literature here. Search for your next car at Imperial Supermarkets now with our easy to use ‘Find a Used Car’ search facility. Don’t forget we are available to assist and talk to you 7 days a week. Our Showrooms are open 10am - 9pm Monday to Saturday and 10am - 6pm on Sundays. Our Southampton based call centre is open from 9am - 9pm Monday to Saturday, and 10am - 6pm on Sunday, you can check all of our opening times here.